Image: Vivien Killilea/Getty Images for The Syrian American Medical Society. Whatever you do, don’t try this at home — or on a beach near you. This is some next-level co-parenting, y’all, and it’s not for the faint of heart. Fans online were quick to praise Kardashian for putting her kids first. One famous fan? Her sister, Khloé, who responded to a tweet yesterday about her sister and Disick’s co-parenting. “This is co parenting done right,” the fan tweeted along with another fan’s Instagram pic of the entire blended KardashDisChie (yeah, we’ll have to work on that) fam — yup, including Richie — dining in Cabo San Lucas on Saturday. E! couldn’t resist posting shots of the blended family on the beach, where Kourtney Kardashian and Richie sunbathed, then strolled together, chatting. A source spoke with Us earlier this month and said that Kardashian and Disick stay close to co-parent more effectively. They share three children: Mason, 9, Penelope, 6 and Reign, 4. Pretty sure co-parenting looks different for most other ex-couples, but hey, we’re here for it. Disick also posted a holiday vacation shot in which he’s seated on a lounge chair between his bikini-clad ex and similarly attired girlfriend. 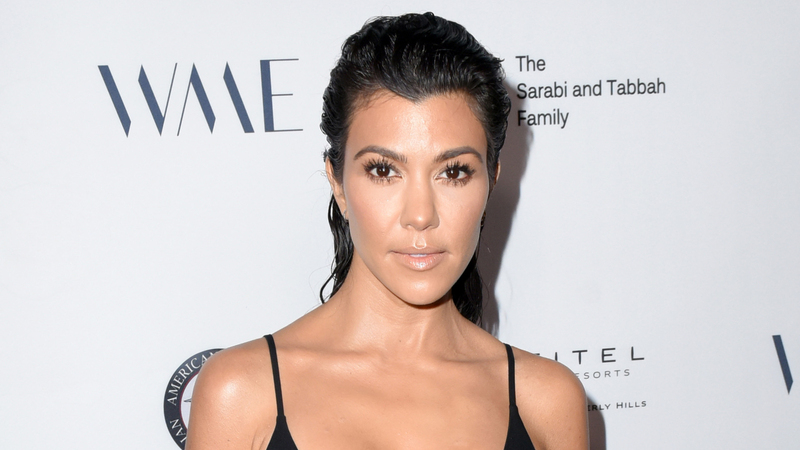 Kourtney Kardashian told You magazine in 2016 that co-parenting with Disick is no big thing to her. Mexico and margaritas for Christmas definitely beats Southern California zoos and paparazzi. Good luck, kids. Keep on keeping on with the co-parenting.